Asbestos Abatement | North American Dismantling Corp. The National Grid Far Rockaway Power Plant is a 100 megawatt, natural gas fired steam electric generating station. The station was originally commissioned in 1954 as a coal fired station and was converted to coal/fuel oil in 1966. Since 1994 the Far Rockaway station has utilized natural gas exclusively. The station was taken out of service in June of 2012 and in the late fall of 2012 North American dismantling was contracted to provide for the complete abatement and demolition of the power station. Unit #4 including the boiler house and turbine hall. Circulating Water Intake Screen House. Fuel oil storage tanks including the 2,000,000 gallon Main Oil Tank and the 100,000 gallon Day oil tank, as well as, all ancillary underground and above ground piping and appurtenances. Upon contract award NADC initiated preliminary project mobilization activities including permit acquisition. 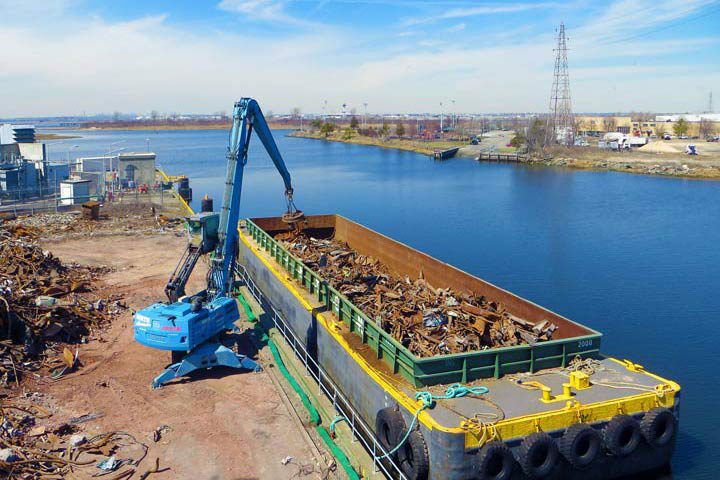 Detailed work plans and applications were filed with The City of New York Department of Buildings, Fire Department New York (FDNY), The City of New York Department of Environmental Control and The State of New York Department of Environmental Quality. This project was a design/build project located in Southwest, Michigan. The original contract was for $10.2 million and consisted of four elements including Design Engineering, Demolition, Asbestos Abatement and New Construction. The project was bid in March 2005 with the majority of the work to be completed by December 31, 2005. The demolition portion of the contract consisted of the demolition and total removal of approximately 800,000 square feet of office and lab space requiring a number of different demolition methods. Building 25, a fifteen-story concrete Albert Kahn building, was removed with a ball and crane in conjunction with our hi-reach excavators. Building 209, an eight-story steel building, was tripped in sections in conjunction with our hi-reach excavators. A portion of this building had to be wrecked floor by floor as a portion of the building was to remain, including a portion of the basement under structure being removed above. We were also required to remove the top 3 floors of a nine-story building without damaging the floors to remain. 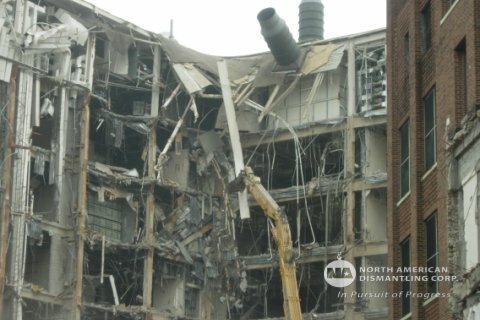 The largest portion of the demolition began in July 2005 and was essentially complete in December 2005. In addition to this work, the Owner gave us some additional work ($.8 million) to complete during this time period including the hand removal of a four-story boiler, the removal of a three-story commercial building and picking down in pieces a six-story bag house while the boiler house remained in operation. All work was completed safely and on time with no OSHA violations (3 inspections). Asbestos abatement was started in May 2005 and completed in September 2005. The total asbestos contract totaled $2.7 million and involved three abatement contractors. At times we had more than 80 asbestos abatement contractor personnel on site daily. All work was completed safely and on time with no MIOSHA Air Quality Violations (2 inspections).